my name is lilith, and i work in doha, qatar as a paramedic. 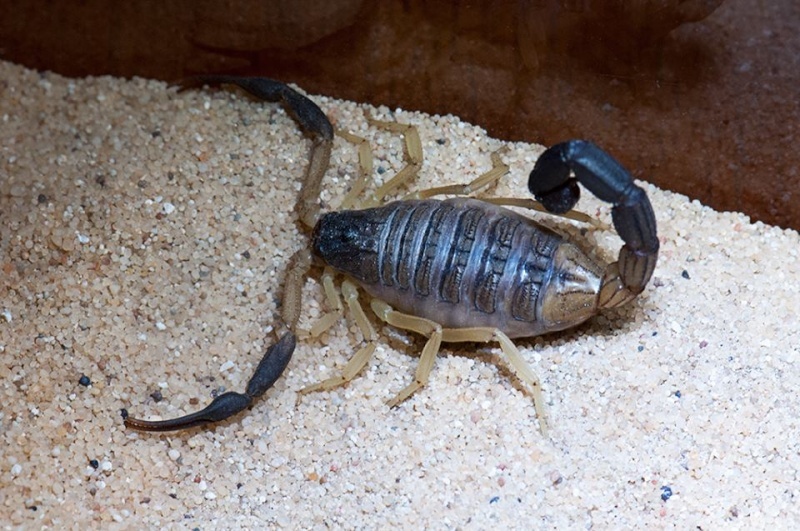 i've lived here for nine years now and have been searching the desert for a scorpion... with no luck. until last week when we had a call for a patient who was stung by a scorpion. good thing the friends of the patient did not kill the scorpion but put it in a bottle and handed her over to me... for identification at the hospital. so, after the call i took the scorpion home with me. i call her "handle with care". could someone help me identify what kind she is? thanks. p.s. i'm not really sure how to add a photo here... so i hope something comes up. it's a Hottentotta jayakari. Common in the Arabian Peninsula & southern Iran. I was stung by a juvenil H.j. in my left thigh whereas feeding my scorpions. He was fallen in my lap. Symtoms like a wasp sting. It was not as bad as all that - in my case! thanks carlos. i have more questions but i decided to just post them on the scorpion tavern threads. again, i and "handle with care" thank you.